Adventures of LaurenHoya: Life, Currently. I'm almost done with the Balkan updates, and hoping to finish those posts soon, but I've been doing other stuff too. A couple things lately - I'm kicking off No Shop November. Not that my shopping is out of control, but trying to trim the budget a bit, just cause. I did my last bit of shopping on Halloween, and I hit up the favorite Athleta for a couple winter pieces. Still loving the workout gear, and with more classes at OrangeTheory, it's less laundry for me. Also I've been doing a whole lot of this lately. I'd deleted Tinder for months and months, and recently decided to join again. I'll probably quit again next week - it's like a bad drug addiction. You come crawling back for that swipe fix, then realize it gets you nowhere and you quit. For now, I'm swiping and embracing the awkwardness. I don't think I've been more apathetic about dating ever in my life. Here's a quick recap of the latest dates. Date 1: Before my Balkan adventure. Met a nice guy who recently moved to Utah. Not LDS, but that's okay with me. We had a great dinner at Rusted Sun pizzeria, which I'd never tried before, and it is super good. Next time I get pizza in SLC, it will be there. We had good conversation, I dropped the Mormon bomb toward the end of the night (it naturally came up in conversation), and then we parted, never to speak again, despite him saying he'd like to see me again. Date 2: Saturday afternoon lunch with a kid who lives in Provo. I was excited that he's from back East, but apparently the East Coast has all worn off, since he moved to Provo right after high school and has been there ever since. During lunch he kept getting me confused with all the other girls he's chatting with on Tinder (c'mon, we all talk to multiple people, but come up with a way to keep people straight!). Like - oh! you're the one who likes science! Nope, not me. Multiple times. I was just rolling with it. He was very considerate during lunch, despite the confusion, and I'm trying really hard to date Mormon guys, so when he asked if he could call me again, I said sure. The next week he calls me again, leaves a voicemail, I call him back, and we discuss schedules. We agreed on the next Friday evening. He said he'd look around and see what was going on, and come up with a plan. On Tuesday of that week I send him a text just to see how he's been doing. He writes back with a generic good message, including a line of 'not sure if I told you xyz....' Of course, he doesn't know what he's told me and what he's told some other girls. By Wednesday evening I'm fully convinced that he's made plans with me, but thinks it's another girl, and is so confused and this date isn't happening. I certainly didn't want to remind him, so I made other plans, and sure enough, I didn't hear from him at all. So weird! He's now unmatched on the Tinder. Date 3: Happened right after date 2 - met at a tea shop for afternoon tea. Who am I doing back to back dates? I guess I am in Utah after all. Really nice guy, no longer a practicing Mormon, which he brought up before we met, but I was game to meet anyway. We had a really fun time and chatted for a couple hours. We texted for several days after, and then he dropped off.....whatever. Date 4: About to happen this week. A funny guy with an endless pasta pass at Olive Garden. It's got to be good for stories at the very least. Let's see how the OG since I was last there 15 years ago. Date 5: About to happen tomorrow. 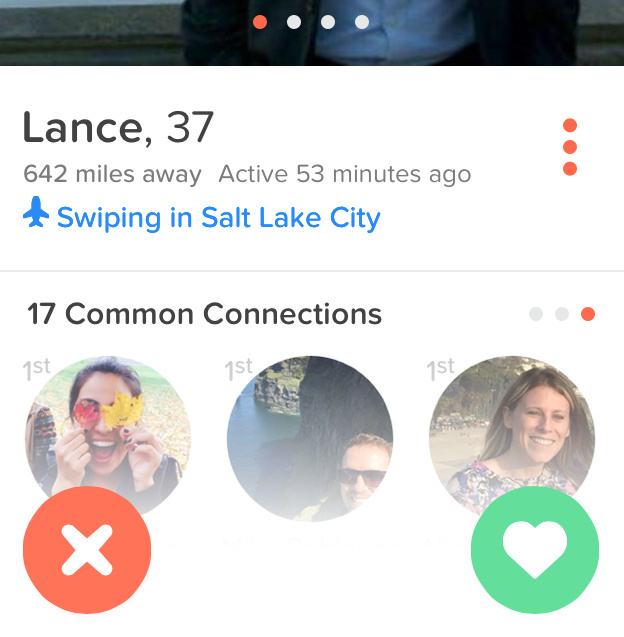 Some guy in town for work, looking to meet a nice Mormon girl in SLC. I'm game for a free dinner. Oh - and I went to a singles fireside last night where 66% of the population was old enough to be my parents, 30% old enough to be my grandparents, and 4% in my age range. Expect more dating stories here - nothing to lose! The Albanian Riveria - Beaches Galore!